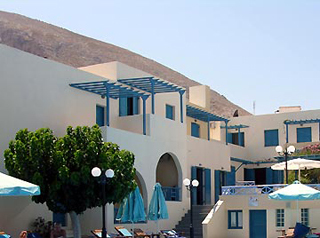 Alexandra Hotel, a pleasant family hotel, is set in the popular resort of Kamari, on the east side of the island along the famous black sandy beach. Kamari stands today as a complete resort satisfying both lazy sun-bedding vacation as well as lively and vivid holidays. Ideal for all generations it is filled with tavernas and restaurants to fulfill all tastes and budgets, mini markets and supermarket, bars and clubs.